​There is no tax deductible for your lending activity. The borrowers can be defaulted on their loans and lender's funds can be at risk if the borrowers cannot meet their payment obligation. Please consult with your legal advice before considering to lend your funds to micro-loan program. 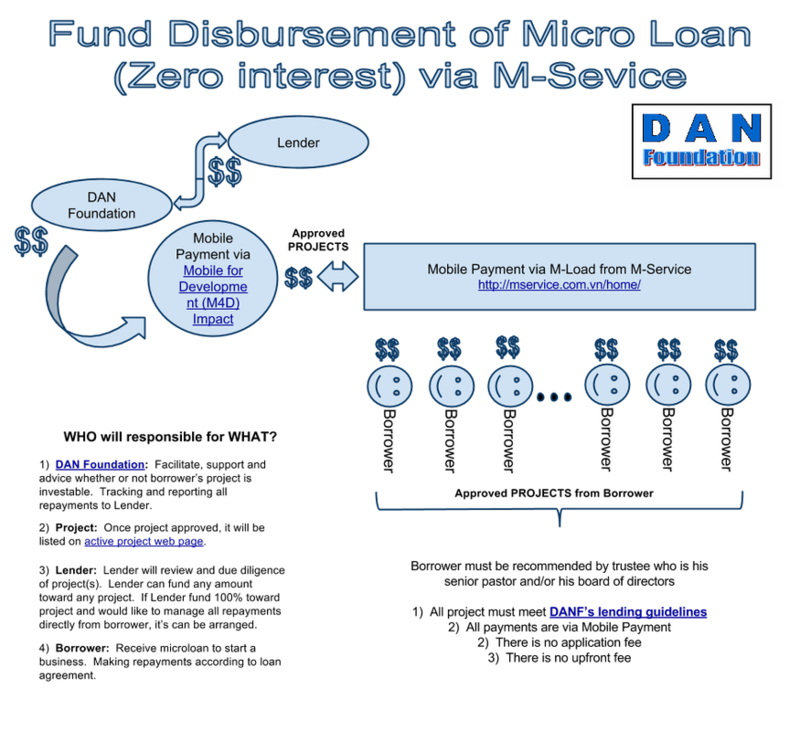 When lender received all repayments from the borrower, lender can lend out again for different project; however if lender decide to donate these repayments to DANF's operating, this donation becomes tax deductible to lender. In March 2015, the Pilot micro-loan program is designed and formed helping a start-up business to obtain a zero percent interest micro-loan. All borrowers must qualify for the tier 1. When the borrower repays in full of his obligation, he can apply for the next tier. How do we keep our cost lowest? What technology tracking these loans and payments?